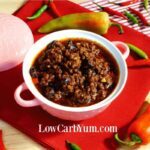 After discovering Miracle Rice, I was wondering how it would perform in a cabbage roll recipe or stuffed peppers. Well, I haven’t had a lot of time for cooking lately so these recipes have been on the back burner. 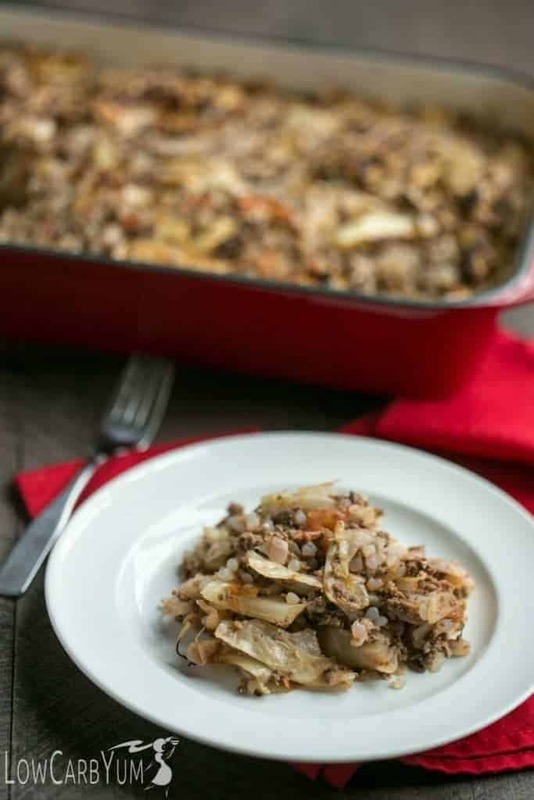 But, I did have time to try out a low carb unstuffed cabbage roll bake recipe last weekend. To me, the shiratake rice pieces are bland enough to be a good substitute for white rice. The big difference is that they don’t get the sticky texture that is often needed to hold things together. 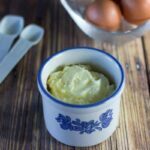 You may have seen my shiratake rice pudding recipe. That was the first thing I made after buying my Miracle Rice. 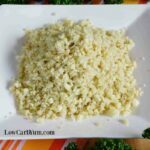 The stickiness of real rice isn’t needed in that recipe and it turned out to be a terrific low carb sub for the real thing. 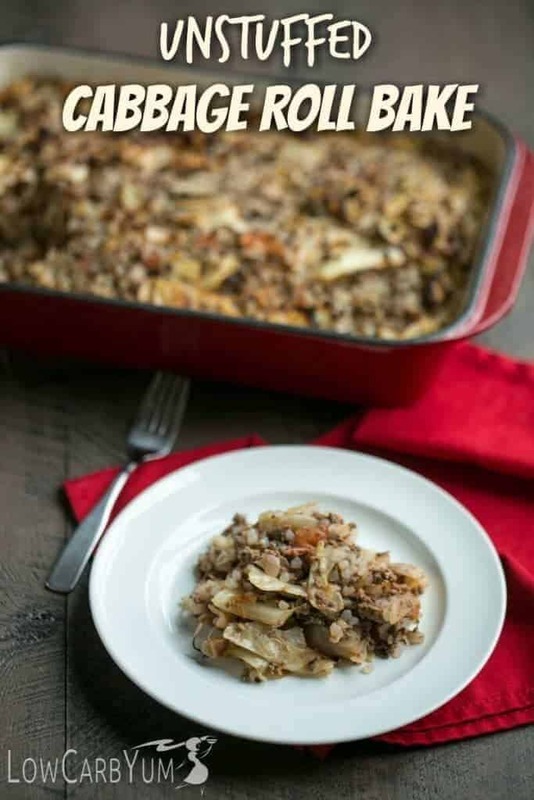 The filling in cabbage rolls usually binds together from the rice. You won’t get that with shiratake rice. Instead, the cabbage leaves will have to hold it all in. 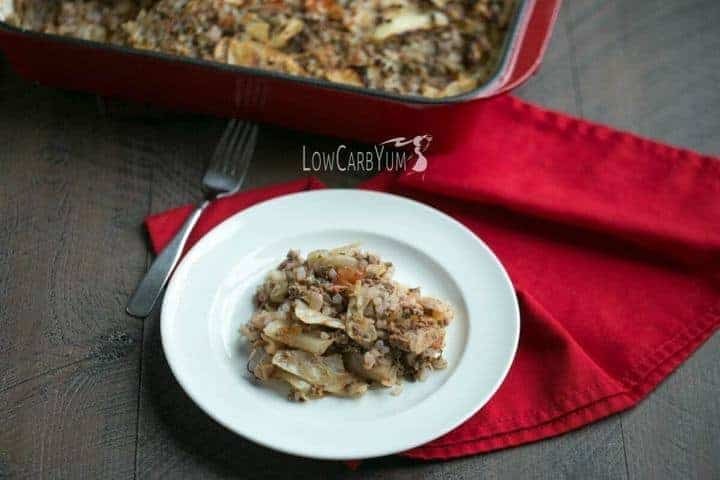 Since it takes a lot of time to put the filling into boiled cabbage leaves, I just made this unstuffed cabbage roll bake instead. I had a head of cabbage that was sitting in my basement fridge for a few weeks. My parents dropped off a bag of low carb food that my mom picked up at the mobile pantry in town. I certainly don’t qualify to get the free food offered, but it does help lower income folks like those who have been retired for a while on a fixed income like my parents. The leaves of the cabbage were pretty tough to peel off so it’s a good thing I wasn’t trying to use them for rolls! They were breaking into pieces as I was pulling them off. 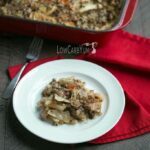 This made them perfect for and unstuffed cabbage roll bake recipe! You don’t need a lot of time to throw this dish together. And, since I cook low carb food for one, it makes enough to feed me the whole week. My three year old did give it a try and ended up having it for dinner with me one night. 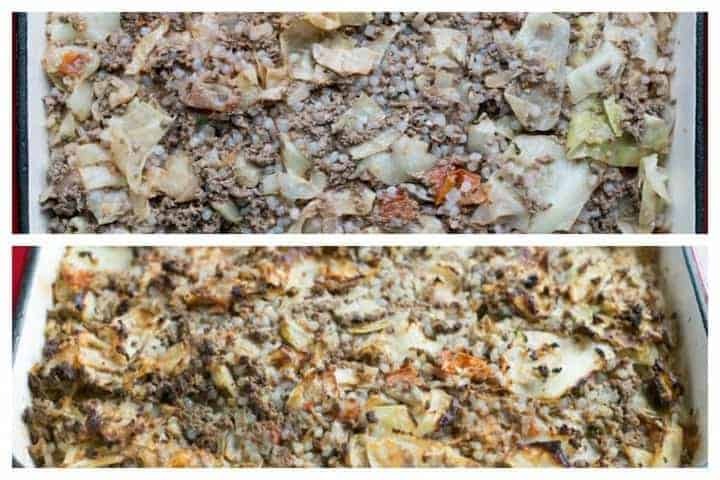 She’s pretty picky so I was happy to see she liked this unstuffed cabbage roll bake. I will have to put it on the menu again! I wasn’t sure how small of pieces to cut the cabbage leaves. The cabbage pieces did end up being a bit big to eat so I will be sure to cut them up into more bite sized pieces next time. It might even be nice to chop them into thin strips like noodles. This is one of those recipes that is pretty difficult to screw up. There’s a lot of room for changing up the seasonings to suit as well. I’ve never actually made cabbage rolls before, but I’ve watched my mother-in-law make them in the past. 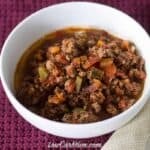 It seems like a lot of work if it’s just a dish you are making for an every day low carb meal. 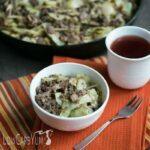 Don’t expect things to hold together well in this unstuffed cabbage roll bake. 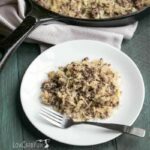 Unlike the filling of regular cabbage rolls, the Miracle Rice isn’t sticky enough to bind the ingredients together. 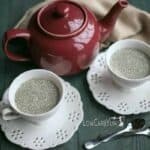 I found this to be a comforting meal, particularly since we had some cool rainy weather over the last week. Thank goodness the last few days have finally warmed up to almost summer like weather. I’m so done with the cold! I hope you give this one a try. It would make a nice dish for potluck get togethers. And, you could slow cook it in a crock pot and keep it warm during the party if you have access to a power outlet. 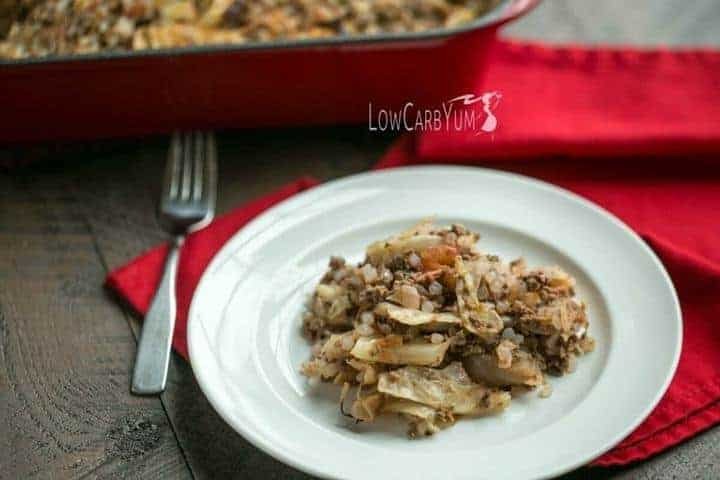 Try this low carb unstuffed cabbage roll bake when you don't have time to make individual cabbage rolls. 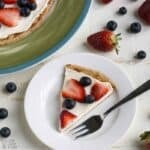 A great meal to share with family and friends! 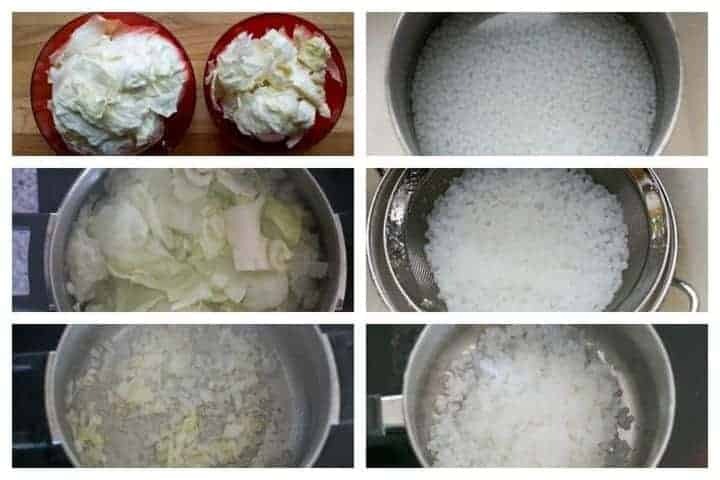 Drain the Miracle Rice then soak in water for 5-10 minutes. Drain again. Pour Miracle Rice in small pot and stir fry in a dry pan until most of the water is gone and the rice feels like it is starting to stick to the pan. Set aside. Peel off the cabbage leaves and boil until tender. Drain. Chop up into bite sized pieces. Heat olive oil in large pot. Add onion and garlic and cook until fragrant. 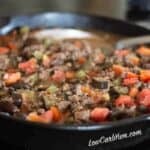 Add ground beef and cook until brown. 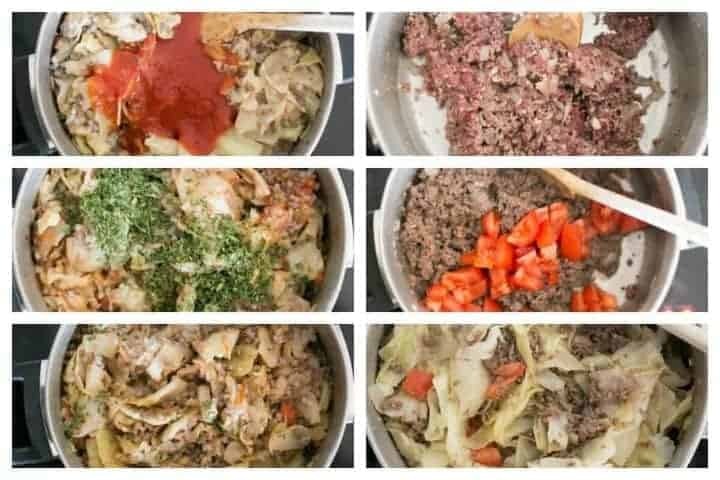 Stir in tomatoes, cabbage, tomato sauce, parsley, salt, and pepper. Adjust seasonings to taste. Stir in Miracle Rice and juice from one lemon. 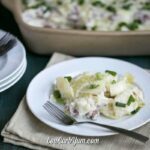 Spread out into a 9x13-inch casserole dish. Bake at 350F for about 45 minutes or until it begins to brown.